Your products and services require exposure to attract potential customers their way. One of the quickest and most effective ways to spread the news is through our business flyers. Our high quality business flyers allow you to present information about your business in neat and artful fashion. You can use a business flyer to promote your services and products or you can use it to introduce a new product or service. If you are holding an event or you will be appearing at a trade show, you can let people know about it by handing out the business flyers in the street, handing them out at the door, or placing them in your customer's shopping bag. There are multiple ways you can use business flyers. Since we use high quality printing methods and full color printing, you can expect the flyer to do the job it is meant to do, which to increase awareness about your business amongst your target audience. 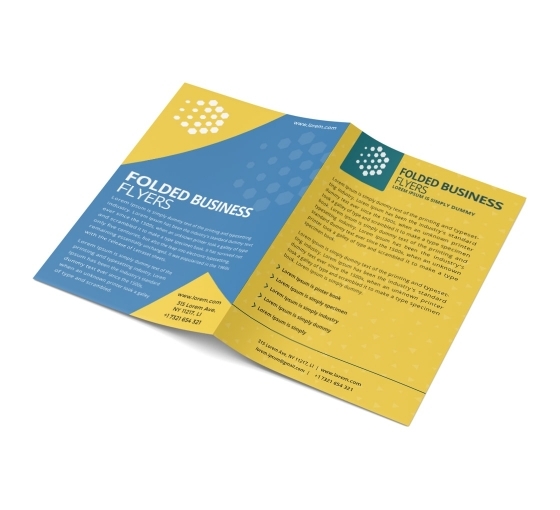 Only with us will you be able to order business flyers in bulk at a reasonable rate.